The South African Revenue Service has degenerated under the leadership of Tom Moyane, the Nugent Commission of Inquiry has found. 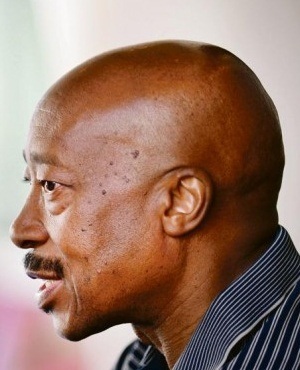 Judge Robert Nugent has recommended, in an interim report submitted to President Cyril Ramaphosa, that suspended SARS commissioner Tom Moyane be removed from his position immediately and that the President appoint a replacement. This despite a disciplinary process against Moyane which is still ongoing. "The day Mr Moyane took office was a calamity for SARS. Almost immediately, and then continuously for the next 18 months, SARS was thrown into turmoil, with tragic consequences for the lives of many people, tragic consequences for the reputation of SARS, and tragic consequences for the country at large," the interim report read. The presidency has said that Ramaphosa is "applying his mind" to the report, which according to the commission states that SARS "reeks of intrigue, fear, distrust and suspicion". The report has been furnished to Moyane for comment. The commission is expected to wrap up its inquiry in December. Since the inception of the inquiry, Moyane "has remained in the shadows", the report read. The commission has noted that Moyane had only attended the hearings for a few hours, and only with the intention to disparage and derail its work. Over the period Moyane has brought forth an application to have the commission's work halted, and most recently he has sought intervention from the Constitutional Court. The commission has also noted that although Moyane's attorney has been alerted of the public hearings, neither he nor Moyane have attended. Moyane had also been invited to make written submissions to the inquiry, but has not done so. "It is perfectly clear that Mr Moyane has no intention of engaging with the Commission or confronting the evidence that has been presented and has no intention of accounting for his tenure as Commissioner of SARS. That is not the character of a person fit to lead a vital public institution," the report read. Based on the evidence collected so far, the commission believes the state of SARS to be "disturbing" and to the detriment of its revenue collection abilities. "Urgent intervention is required if the ongoing loss is to be arrested," the report read. The commission acknowledged the work of acting commissioner Mark Kingon to address concerns, but has stressed SARS can only be best served with "long-term certainty and stability". The commission also raised concerns that SARS's senior management "sat back" while the tax agency's reputation was tarnished and its staff "demoralised". Nugent said that only some leadership had come forward with evidence, and only with intentions to respond to evidence that reflected negatively on them. Before Moyane was appointed as commissioner, SARS had earned accolades domestically and abroad. But Moyane has stopped the drive to modernise systems, and other units such as the Large Business Centre needed to service corporate taxpayers and units countering illicit trade are now ineffective. Under Moyane, restructuring had been implemented, which displaced almost 200 managerial employees. The commission described the relations between Moyane and state institutions such as National Treasury, the Auditor-General, the Davis Tax Committee, and the Financial Intelligence Centre as "icy". SARS also no longer carries the high status it used to among international bodies. SARS's reputation has also been tarnished by media reports, and Moyane has attempted to intimidate the media with litigation. This effectively has compromised tax collections and compliance. The commission said that SARS has been brought to its present condition through the consequences of the Sunday Times report on the so-called "rogue unit". "I have not yet found why the creation and existence of the unit was said to have been unlawful, which is how it was consistently and uncritically depicted," Nugent said in the report. Nugent said that the report and others that followed, did "immeasurable damage" to SARS and the lives of many others. Moyane used the report as a basis to disband the SARS executive committee, this shortly after he was appointed in 2014. "All that on the basis of no more than a newspaper report and moreover, a report on events of which at least most of the chief officers could not be expected to have had any knowledge," Nugent said. Later that year, Moyane disbanded the high risk investigative unit without creating new capacity to continue its work. In December 2014, Moyane then commissioned the services of KPMG to investigate the rogue unit and Bain and Company was appointed to review SARS's operating model. Questions have arisen of the appointment of Bain. "For the present it is sufficient to say that the arrival of Bain brought its own turmoil," Nugent said. Bain devised a new operating model for SARS, and a new executive committee was appointed in 2015. At this point, SARS had lost its core management, experience and skills. "By the middle of 2017 nothing was left of the exco that had existed when Mr Moyane took office," the report read. The commission noted that some of the new appointees had no experience in tax collection and institutional memory had been entirely eradicated within the executive committee. Nugent said that the new operating model created uncertainty for operational managers about their jobs and 200 employees were displaced, having to apply for posts in the new organisational structure. Nugent said that based on what has happened at the agency under Moyane's tenure, it is important to have "material legislative changes" to improve governance at SARS, to avoid this from happening again. Governance impacts SARS's performance and revenue collection. "The process for appointment of a Commissioner of SARS warrants revisiting, and we will report on that in due course," Nugent said. He added that checks and balances must be put in place to ensure the commissioner is accountable to the finance minister and that SARS cooperates with other State institutions. "No responsible leader of a major and complex organisation would have acted as Mr Moyane did, with lasting impact on the current state of SARS," Nugent said in the report. Moyane effectively turned a world-class organisation upside down. SARS is now "wracked with intrigue, suspicion, distrust, and fear of senior management; information technology that is in decay; a fragmented structure that inhibits collaboration amongst functions to the detriment of revenue collection; a space for the illicit trade to flourish; loss of long-serving skills; skilled and experienced personnel in supernumerary positions doing little if anything at all; and revenue collection compromised", Nugent said.